You’ll need the EPEL repository, see the step 2 from this post. I’ll install Development Tools group and some packages needed by Suricata. Download Suricata from its web page. Move the tar.gz file to a suitable directory, in my case I’ve chosen /opt directory. Uncompress it (I’m compiling 1.4.3 version) and configure the compilation. I’ve set some prefixes and directories and added the –disable-gccmarch as I was having problems (Illegal Instruction) when executing Suricata on my QEMU/KVM virtual machine (the post that helped me). Ok. Now let’s use make, make install and if you want Suricata to create a config file and download rules from Emerging Threats use make install-full. And finally let’s try to execute suricata command. I read in ntop’s web page that virtual pf_ring would improve performance dramatically for virtualization environments like KVM but I have no money now to pay for the fee (if you want to donate let me know :-D) so I’ll try to use it for a few minutes as they suggest for evaluation purposes. As always I appreciate any comments to improve the quality of this post. Enjoy! today my colleague Geoff told me that he was trying to resize an OpenNebula image. As I had never done that before, I started to review OpenNebula documentation and I found this email in the OpenNebula mail list (please suscribe!, it’s really useful!). It seems that resizing is not yet supported (maybe I’m wrong and there’s another solution!) but thanks to this issue information I found virt-resize. This is virt-resize description: a tool which can resize a virtual machine disk, making it larger or smaller overall, and resizing or deleting any partitions contained within. Looks promising! The virt-resize information page is full of examples so it has been easy to start using it. Ok this is what I’ve tested and please remember proceed with caution I’m no responsible of any damage caused by following this steps and try to read the documentation first I’ve just used that info :-D.
Now I’ve inspected the image file with the virt-filesystems command. This is a screenshot showing the resizing progress. I check if the partitions have been modified before running the VM. It seems that the /dev/sda2 is now 30GB. It works!! Thanks to OpenNebula’s mailing list (Simon Boulet, Ricardo Duarte, Ruben S. Montero…) and the libguestfs creators I’ve found a way to resize a Linux image. Please if you know a better way or OpenNebula has already a way to modify the size please let me know, I want this post to be useful for the community. I’d like to evaluate Windows Server 2013 so I’ve decide to create a VM in my OpenNebula 4 lab. I’ve read in this page that I’d need VirtIO signed drivers for Windows in order to detect the virtual hard disk which will store the OS. 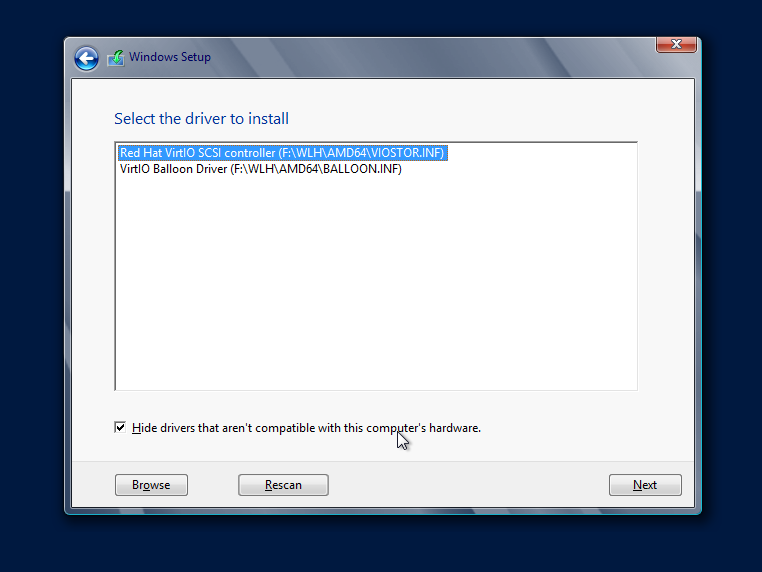 After instantiating the template, Windows starts the installation. 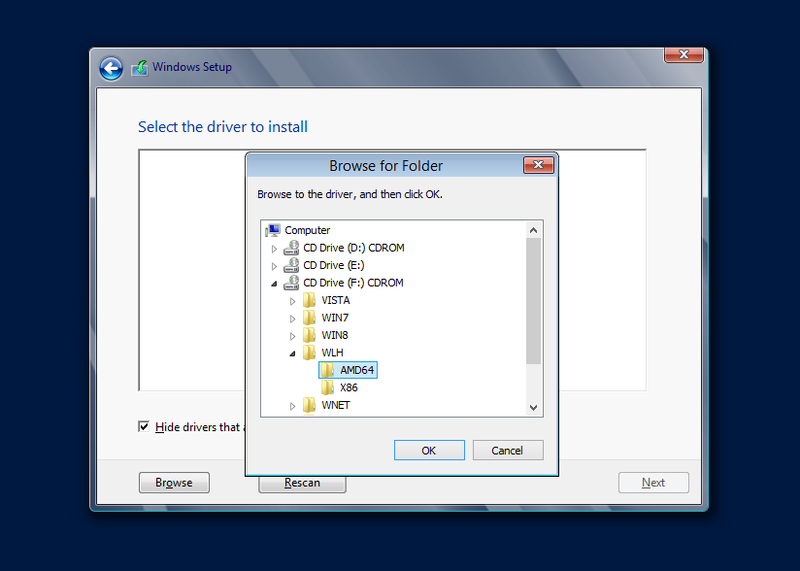 When Windows warns you that no disk is found you can load the driver from the second CDROM. Then you have to browse the CDROM and select the SCSI RedHat VirtIO SCSI controller (WLH/AMD64 folder). Now the Virtual Hard Disk has been detected and you can install the Operating System. Download the tar.gz file from OpenNebula’s download page. Refresh your browser if you were working with Sunstone. Ok, as time goes by… I want to learn about advanced topics from OpenNebula. 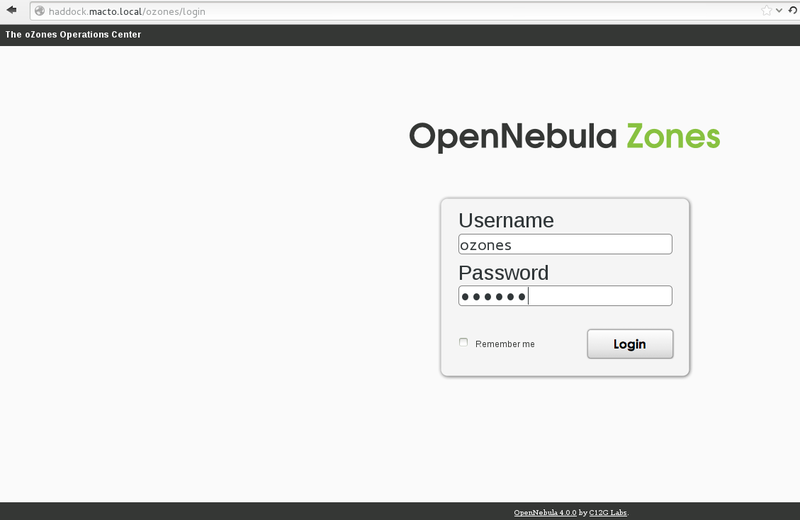 I’m going to start working with Opennebula Zones (ozones) which will allow me to create a Virtual Data Center. As I have only one machine in my lab (I accept hardware donations to increase my lab potential 🙂 ) I will have only one zone to play but that’s better than nothing. Great. If the apache proxy module works fine and the ozones-server is running we will be able to log into the ozones gui. In a few days, I’ll play with the zones configuration. today I’m offering you a simple contextualization example in OpenNebula using C12G Labs scripts. Contextualization is explained in the official documentation so please read it. In my example I have installed a CentOS 6.4 virtual machine using a netinstall ISO image, then I’ve downloaded from the OpenNebula download page the current rpm files for OpenNebula. After uncompressing the tar.gz file I have installed the opennebula-context rpm package which provides the contextualization scripts. A directory /etc/one-context.d which contains the scripts that will configure the network interfaces, the dns servers and the public ssh key. OK. I’ve prepared a template with two network interfaces using Sunstone’s wizard. In the Context section I’ve checked the “Add SSH contextualization” and I’ve copied my public rsa key. This ssh contextualization will allow me to log in the new virtual machine as root with my ssh key. The “Add Network contextualization” is also checked and it’ll create the network scripts for the NICs using the last four octets of the NIC’s MAC address to set a network address. And now in the Custom variables section I’ve added two variables that I deliberately forgot to configure when defining my virtual networks, a variable to set a default gateway for one of the NICs and the DNS server for the virtual machine. Once I finish the template I instantiate it to start a new virtual machine. When the VM has booted I check the configuration for NICs, default gateway, dns and ssh and et voilà the contextualization scripts have already configured all automagically, how nice! There are two 169.254.0.0 lines in the netstat -rn, probably because of the default dhcp configuration for NICs, nothing related with the contextualization scripts. I hope this helps you to understand why contextualization is a nice feature. Enjoy!